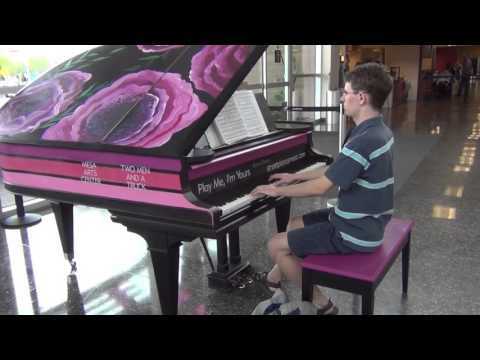 Touring internationally since 2008, Play Me, I’m Yours is an artwork by British artist Luke Jerram. 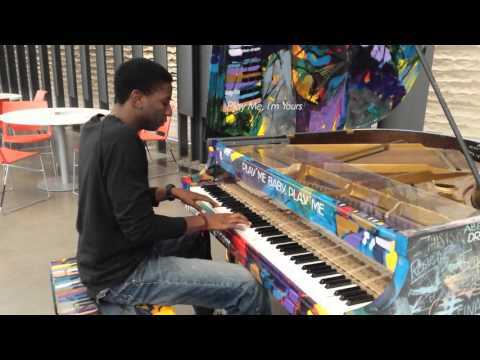 More than 1400 pianos have now been installed in 50 cities across the globe, from London to Lima, bearing the simple invitation Play Me, I’m Yours, and the project has already reached more than eight million people worldwide. Mesa Arts Center presented Play Me, I’m Yours, from March 1 until April 9 2016, as part of the celebrations of a major milestone: 10 years at their beautiful location in Downtown Mesa, AZ. 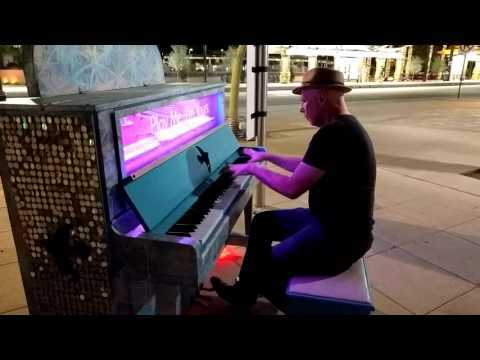 24 playable and artistically enhanced pianos were featured, in Downtown Mesa and at other satellite locations throughout the city. This website has been set up for you to post and share your films, photos and stories about the pianos. Whilst documenting each piano’s journey, it connects the pianos and their communities across the city and acts as a legacy for the artwork. Click on a piano location to post and/or view films, photos, and comments on this website. The Twitter hashtag for the project is #streetpianosmesa. David playing Franz Liszt, Concert Etude No. 3, Un Sospiro on the Mesa Street Piano No. 23 at the Phoenix Mesa Gateway Airport. Great piece, great piano, great location! David playing "A Time For Us" or the "Love Theme" from Romeo and Juliet, on his last Street Piano to find, the Rogue Piano.